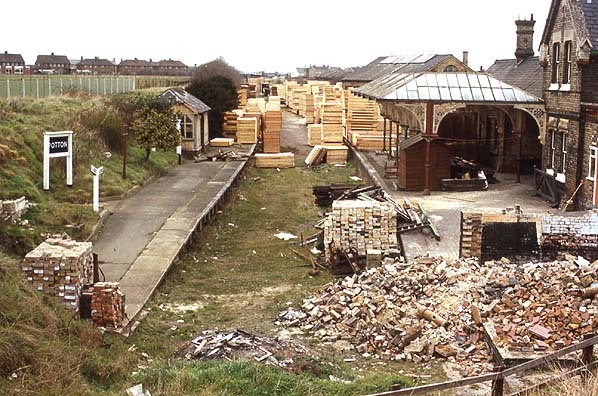 Present state: The station platforms, buildings and goods shed survive as a timber yard. Even the station name board is still in place. 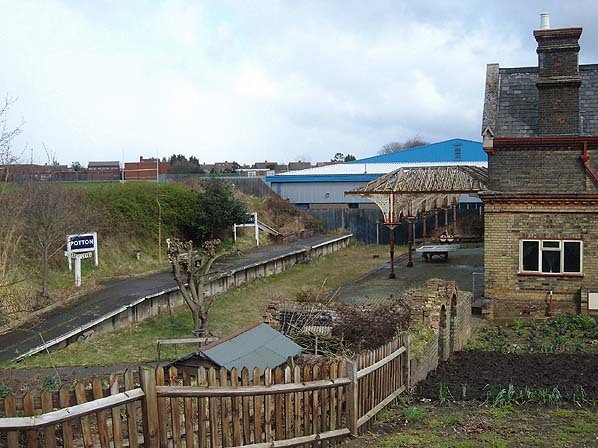 The engone shed on the original station site also survives as a store in a garden centre. 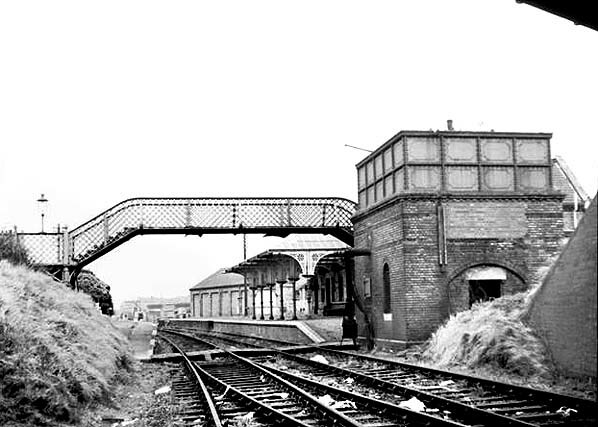 Notes: The station has a goods yard with a substantial goods shed, coal yard and a cattle dock on the up side of the line. The yard included two soot landings for handling large quantities of soot from London, Liverpool, Manchester & Sheffield. The station also handled large quantities of manure. 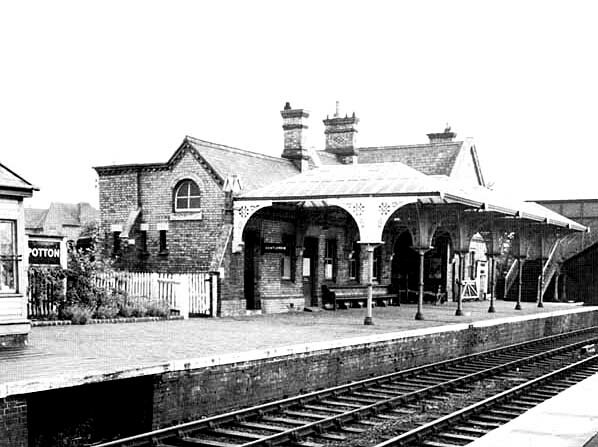 Potton was the only station between Sandy & Cambridge with a water tank fed by a well in the station master's garden. An engine shed was opened by the Sandy & Potton Railway 23.6.1857. 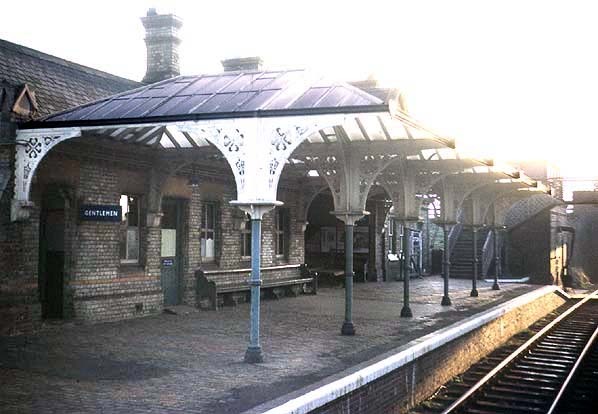 Although the shed was closed before the end of the 19th century it remained standing in various other uses and is still extant today, serving as a store for a gardening centre.